This one is going to be a bit longish, but I'm hoping it is helpful. Buckle up! So you picked a photographer and a location that suits you. The date you set for the session is drawing nearer and you’re starting to feel like you aren’t prepared. 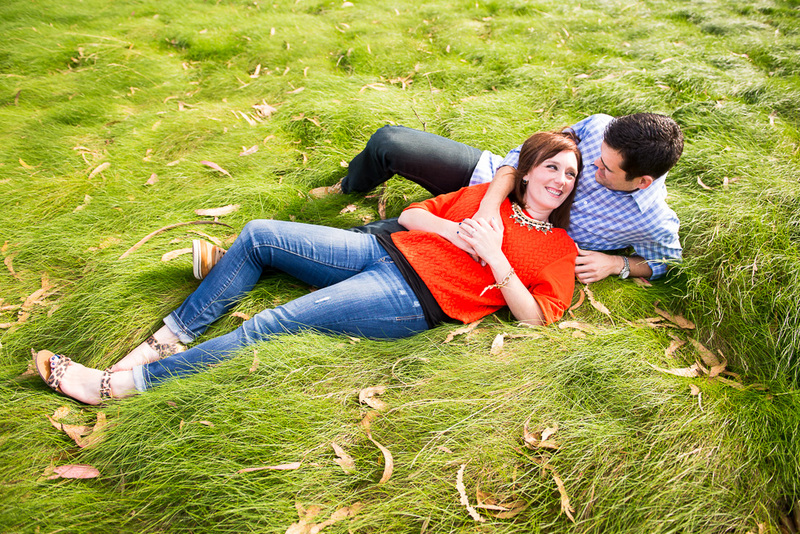 What can you do to make sure your engagement session goes well? Those boots, those pants that fit just right, that new top you bought but you haven’t worn yet because you don’t want to “waste” it on an insignificant day. Yeah, I do that, too. Wear something that you feel great in because guess what, you’re automatically going to look good when you feel good, which is a great place to start. Dress it up, dress it down, whatever you like. Don’t worry about matching. I repeat: do not worry about matching. Please, don’t match! I know you're probably wondering if there's anything you shouldn't wear. Well, it's a matter of taste. I would suggest you be careful of large patterns or a large amount of patterns. As in: I would avoid any pattern from head to toe, just like I would in normal life. A good way to make sure your outfits will look great together is to wear complementary colors, colors in the same color family-- as in warm or cool colors-- or to wear shades of the same color. If you can get your guy to partake, you might try standing next to each other in the mirror to see if anything on either one of you stands out as distracting. If not, you probably look great. Don't over-think it. If you are feeling a bit nervous about bright colors or otherwise bold outfit choices, fun accessories can add just the right amount of something special to your outfit. Think chunky necklaces, big rings or funky earrings. I am hardly ever seen without a scarf, which I often use to bring an extra punch of color, pattern or texture. Speaking of texture, pieces in the same color family but different textures look great together and are another solution for color-wary and color-bold folks alike. If, for example, you can’t decide between necklaces, bring your top two choices and switch part of the way through the shoot. Variety is the spice of life, you know. Bring flip flops or flats, just in case. You may end up walking and you don’t want to waste your non-painful window walking from the car to the final destination. How far you walk depends on how your photographer likes to work and where, but if you’re doing an on-location shoot it’s likely you will be doing at least a little bit of walking. Better to be safe than to be making that face you make when you’re feet are KILLING you and you think you’re still pulling it off. You’re not. Your fiance just doesn’t want to tell you. As a person who admittedly loses personality at an alarming rate when hungry, I have no problem telling you that you are not as much fun when you are hungry. Yeah, I said it. Hungry people just aren’t that much fun. You should know what it takes to last you about two hours, so I won’t tell you what to eat. I’ll just tell you that you should not be running on empty when you show up, because it can only go downhill from there. If all you can think about is cake you aren't going to be terribly entertained by a photographer trying to get you to look like you're enjoying yourself. Other than that, just bring your good-lookin self to the shoot and be ready to have some fun!